Owning a historical home is a big responsibility. The character and charm of an old home cannot be found in a new house. However, maintenance of an old home is constant and can be costly. You feel obligated to history to keep your historical home not only maintained but also preserved for future generations. Schwartz Residential Roofing understands and has the experience and knowledge on how to work on old roofs. Whether it be an old slate roof, old tile roof, a tin roof, wood shakes, or asphalt shingles, when it comes to re-roofing or roof repairs, we know what to do. As a division of LE Schwartz we can draw on past experiences from projects we have been involved in. 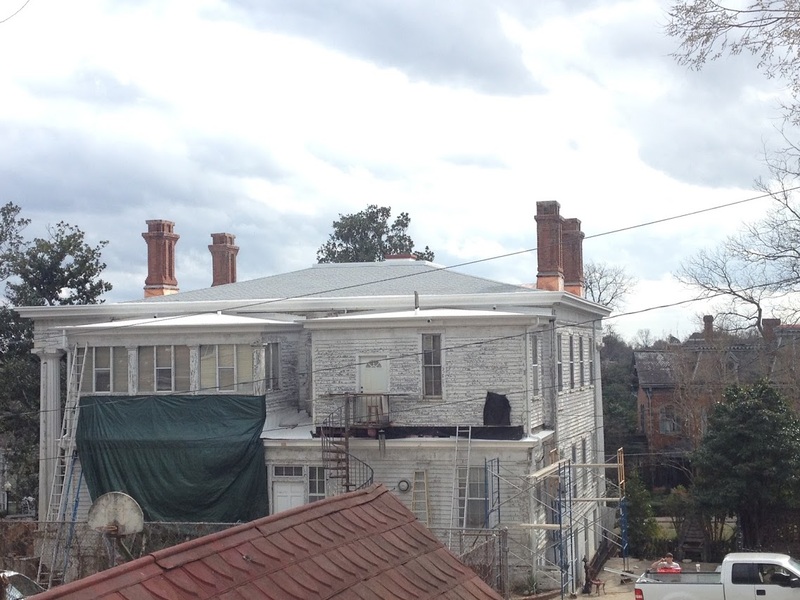 We have renovated the roofs on historical buildings throughout Georgia. Ebenezer Baptist Church in Atlanta, Savannah City Hall, Jones County Courthouse, The Terminal Station in Macon, Mercer Administration Building are just a few of the examples of the large restoration projects we have been a part of. 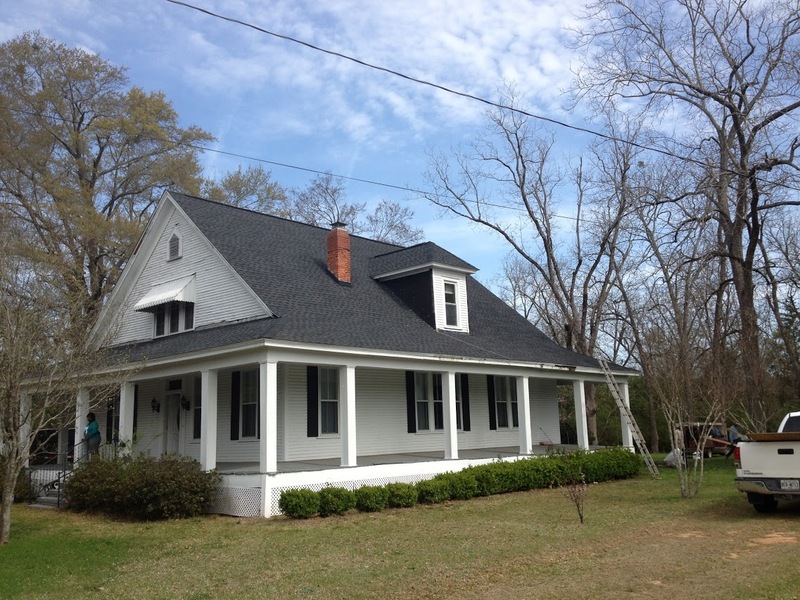 We have roofed and repaired the roofs on many houses in the historical districts of Macon, Forysth, and Milledgeville. 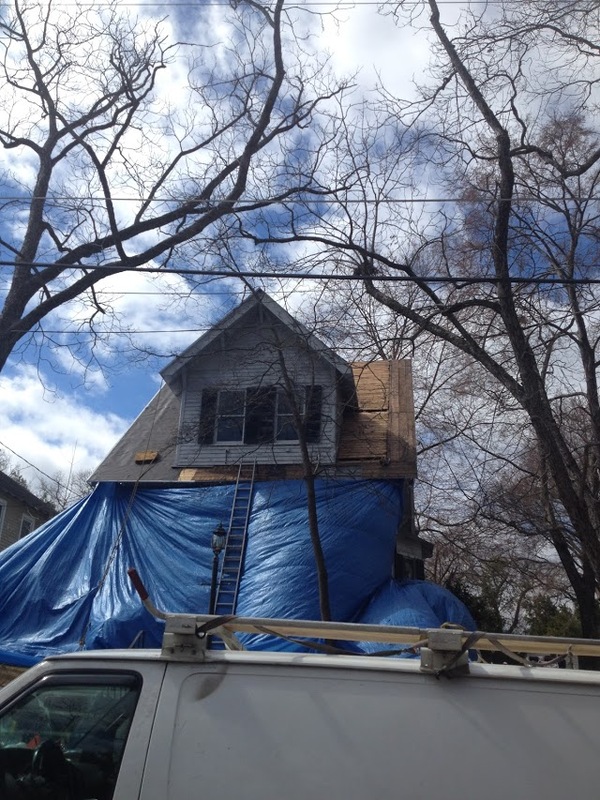 Tearing off the the roof of an old house can be a very messy and a lot of work. Most old homes have 1x8 or 1x6 roof decking. Wood shingles were a common affordable roofing material 100 years ago. Over time with asphalt shingles becoming more common and popular, roofers would shingle over the wood shingles. After this happens again and again you end up with 3 or 4 roofs on the house. Now, when the roof needs to be replace, all the old layers of roofing materials need to be stripped to the original wood decking. If the original wood decking has gaps larger than 1/4" in most areas, we need to install a layer of osb over the top of the existing roof deck. 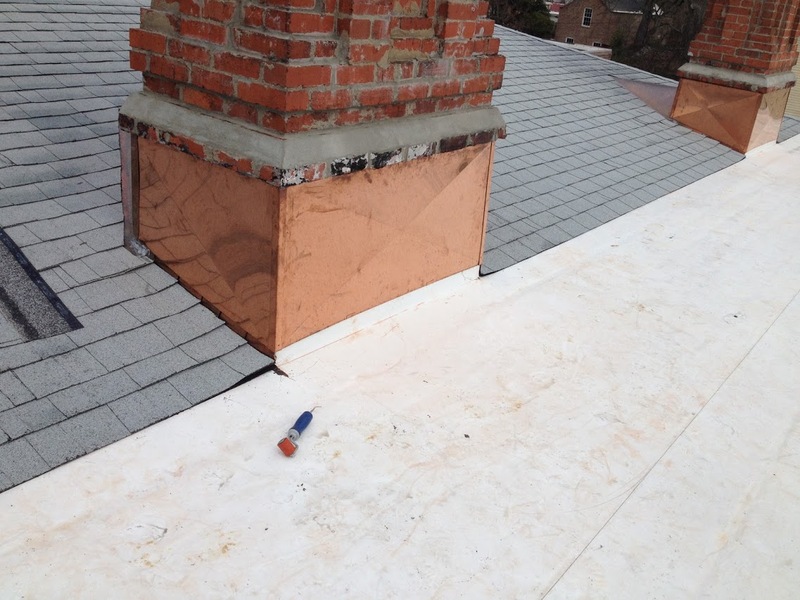 This is a requirement of the shingle manufacturer's to ensure fastening into a proper roof substrate. This is very common on old farm houses in the country. Many roofs on old farm houses have metal roofs over slats or even over wood shingles. 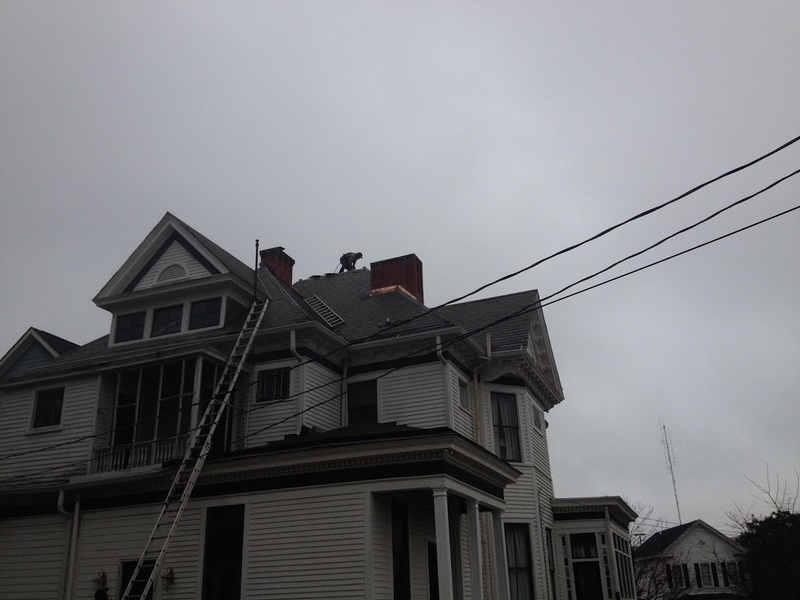 We have even found 2 to 3 layers of shingles installed over old metal shingles. 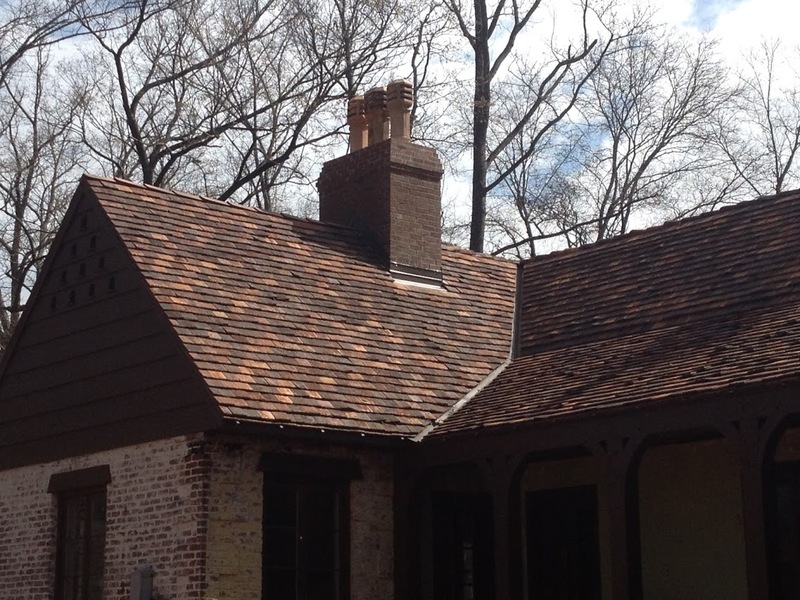 Knowing the proper steps to ensure the roofing substrate is acceptable to install new shingles is critical to a good roof install on an old house. Another key is roof flashing. Old chimneys tend to be a source of leaks on old homes. If they are still being used or need to remain for anesthetics, they need to be flashed properly. If they are no longer needed, we suggest tearing them down to just under the roof deck. That way, they no longer can be a source of a leak. Because even with the best flashing, if the mortar is bad between the bricks, the chimney will leak again. 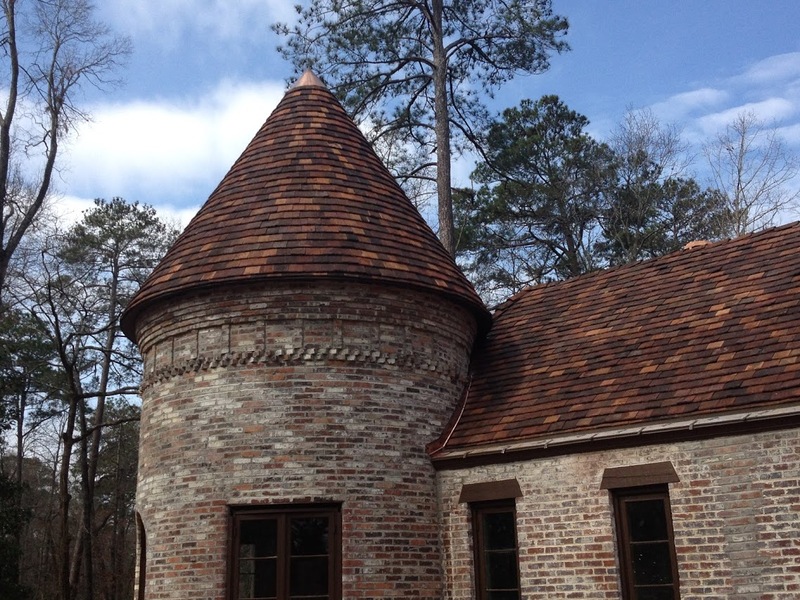 Schwartz Residential Roofing a proud supporter of Historic Macon.